This chapter is brought to you by AnmesicCat, Asuki, Haikai, Kirito, Lei, and Mathew1122. Special mentions to Crytach and Grey. He followed the Hand Mirror’s light for quite a while. Ark’s journey so far was a monotonous repetition of his daily routine. The light of the Hand Mirror that functioned as a compass only came out at night. Since he was following the light in a straight line, he ended up on a route consisting of mostly mountains. So when the light disappeared, he couldn’t determine the direction and always wandered off. Naturally, the method of following the Hand Mirror’s light at night and wandering the area and hunting at day solidified. The moment he entered Argue Mountains that surrounds Jackson’s territory line, the higher level the monsters became. The Magal Wolves possessed defensive powers incomparable to a regular Wolf, and the Bengal Tiger boasted of outrageous attack power with its knife-long fangs, constantly ambushing him. However, Ark had raised his level to the limit in what was called the highest level dungeon in the Jackson area, the Shadow Forest. There were no opponents dangerous enough for Ark, who had even hunted a Reaper. The situation changed one week after the journey started; over two days had passed in real time. The Magal Wolves’ and Bengal Tigers’ attacks gradually lessened. Based on his experience, Ark knew what the change meant. Like people, what was called disposition also existed for monsters. The disposition determined the friendship between monsters. In other words, if similar small monsters were set to be hostile, they did not approach each other. If they were set as a natural enemies like the relationship between a mouse and a wolf, then fights between them would break out. Thanks to this system being in place, a monster’s domain was naturally made. The fact that ambushes of the Magal Wolves and Bengal Tigers were decreasing meant the domain was changing. It’d be a sticky situation if he suddenly encountered a high-level monster. Ark utilized Bat to increase his vigilance thoroughly as he traversed the forest. Soon, he spotted a few monsters between the thick bushes. There were three of them, and they were drooling saliva while roasting a monster that looked like a Bengal Tiger under a fire. In other words, that meant they were strong enough to hunt a Bengal Tiger. A Bengal Tiger wasn’t an easy opponent either. If they were stronger than a Bengal Tiger, then they weren’t opponents to thoughtlessly come at. Ark was contemplating when one Gnoll suddenly raised its head and let out a cry. It was a mistake to hide with his back to the wind. The Gnolls with their sensitive sense of smell carried their clubs and approached while flaring their noses. Ark swung his sword at a Gnoll as he leapt from the woods. The Gnoll caught by the ambush received a critical hit and was thrown back. Ark’s irises became awash in gold as the Gnoll’s weak points and information were displayed. Ark loosed a concentrated attack on the Gnoll’s weak point. It was disadvantageous to be surrounded by three level 45 monsters. When fighting a group, it was important to focus the offensive power on one opponent first to reduce the number of enemies. With Eyes of the Cat and Dark Blade as well as the addition of the Familiars’ co-op bonus, the Gnoll’s health decreased to 70 percent in an instant. But something strange happened. The remaining Gnolls kept their distance even while their teammate was under attack. At that moment while Ark was thinking it was strange, the two Gnolls raised their bows. He had not tried fighting any monster using a bow until now. Therefore, Ark had never even considered a countermeasure concerning a bow attack. At Ark’s threat, Bat struck the archer’s face while screaming. Its outstretched wings blocked its eyes, making the arrow fly off wildly. But the other Gnoll’s loosed arrow sank into Ark’s shoulder. – You have been hit by a critical blow from a Gnoll’s arrow! 250 damage. Movement speed reduced for 30 seconds. The arrow decreased attack speed and increased chance of attack failure. Moreover, just getting hit increased the chance of getting hit by a critical hit and catching an abnormal status like Slow or Bleed. While Ark was staggering, a Gnoll’s club came flying at him. His movements were slow and his body felt heavy, as if someone was holding onto it. Just then, Skull’s eyes flashed as it tumbled under the approaching Gnoll’s feet. The Gnoll who stepped on Skull, lost its balance and toppled down. At that moment, a red light poured from the Gnoll’s whole body. Simultaneously, a message window popped up with a cheerful tune. After gaining 100 skill points, the skill Eyes of the Cat has leveled up to Intermediate. Eyes of the Cat (Intermediate, Active): Eyes of the Cat has leveled up to Intermediate, you can grasp more information and weak points concerning the opponent. *Double Critical : The opponent will fall into a completely defenseless state. Depending on the situation and the enemy’s reaction, a Double Critical Chance will be provided for roughly 1~3 seconds. If Double Critical Chance is invoked, one attack can deal 2 times the critical damage. The timing when the enemy went into a completely defenseless state, making its whole body turn into weak points! Using Eyes of the Cat like crazy had paid off. Ark’s sword sank into the Gnoll’s nape. – You have landed a Double Critical hit. As a co-op bonus with Skull, 30% additional damage has been added. With just one attack, the Gnoll’s Health was decreased by over 20 percent. After a few more attacks, the Gnoll disappeared while screaming its death cry. The situation changed completely once the Gnoll standing in front of him, blocking him had disappeared. There were two Gnolls left. One of them was being blocked by Bat. The reflexes he had sharpened and polished by diligently training Taekwondo shone brightly. Ark parried the flying arrow with his sword by calculating the timing. Perhaps because he did not have a defense-related skill like Warriors did, but parry was not registered with perfect defense. However, New World was a world in which the same rules as reality were applied. The damage was reduced to less than half and a critical hit did not register. Ark, whose Slow hex had dissipated, quickly advanced on the Archer. It was common sense that a monster with long-ranged attack was possibly weak to melee attacks! The Gnoll who had shot arrows became feeble at Ark’s attack and staggered. Just then, he heard the sound of Bat caterwauling from the other side. There was a limit when Bat was blocking a Gnoll Archer alone. With an arrow lodged in its head, Bat disappeared at the Gnoll Archer’s feet. – Familiar Hatred-bearing Bat has been forcefully recalled to the Netherworld. You have received 50% of the Familiar’s Health as damage. A tingly sensation like surging electricity flowed into Ark’s body and he lost 100 Health. At the unexpected damage, Ark was thrown into an extremely dangerous situation. While he was battling against one Gnoll Archer, the other Gnoll freed from Bat’s interference, shot an arrow towards Ark’s back. The state of abnormal vulnerability! A critical hit was dealt as the arrow penetrated its forehead, and Skull was forcefully recalled back to the Netherworld in just one blow. His Health was once again decreased by about 100. But he would have died if the arrow had hit him. Truthfully, he didn’t have the right to utter such words. In any case, Ark parried the Gnoll Archer’s oncoming arrow and rushed in. At the end of a one minute desperate struggle, he toppled the last Gnoll Archer. With a dying scream, the Gnoll’s body slowly faded away. Ark sank to the ground as he exhaled the breath he had been holding in. Just then, his experience bar which had been stuck at 92% reached 100% in an instant, and with a cheerful tune and his level rose. The Gnolls gave a lot of experience compared to their level. In addition, the Gnoll was a party monster. It wasn’t an enemy that wandered alone. Exterminating a party monster that unleashed complementary co-op attacks added a 30% bonus to experience. But he couldn’t be thoughtlessly happy. About one or two Gnolls wasn’t a match. The problem was Gnolls formed a party and fought in an organized manner. Well, it wasn’t really tremendous strategizing since they were just dog heads. At best, a Gnoll Archer would shoot arrows from afar while a Gnoll Warrior would block Ark, an incomparably simple strategy. However, it was as effective as it was simple. If he heedlessly fought alone, he would probably fall over after becoming a porcupine before he could take down a Gnoll Warrior. Of course, there would be no problem at all if Ark formed a party. But Ark, who was consumed by a deep-rooted distrust of users, wanted to avoid party hunting if possible. And even if Ark wanted to, there wasn’t a user who would come all the way to a remote area like this to help him, who was constantly moving because of a quest. He had to wait 24 hours or three days in game time before he could call forth his recalled Familiars. For the first time since leaving Jackson, Ark turned back. It was the first time both his Familiars were simultaneously forcefully recalled. He didn’t know how useful and helpful his Familiars had been until they were gone. Bat’s scouting ability, and the ability to distract the enemies attention when there were several monsters around, in addition to the co-op bonus of the Familiars. Ark hadn’t largely realized these effects. But now that they were gone, hunting was twice as hard. It also took a lot of time, so just defeating one Bengal Tiger consumed 3~4 minutes. Since it took double the time it took when he’d cleared them in 1~2 minutes, he actually felt his experience wasn’t increasing. But the truly puzzling thing was something else. Ark hunted without rest. When a monster appeared, he just took it down with his sword the way his body was familiar with. He picked up items and foraged food ingredients. Then he summoned Netherworld’s Egg in his spare time and made it absorb food. Since there wasn’t anything different from before, it wasn’t exciting. Ark let out a frustrating sigh. Similar to NPCs, Familiars also had the ability to think for themselves. Skull and Bat’s reactions changed depending on Ark’s attitude. For Skull, it was a Familiar with absolute obedience towards Ark, so its reaction didn’t change significantly. However, for Bat, if Ark just pushed him around straight up with a heavy hand, it would sulk and there were times when it wouldn’t talk for a while, and when a battle broke out, it would run away. But then when he humored it a little, it soon honeyed him as if it would lick his boot. Sometimes it even pointed out things that Ark hadn’t thought of. At first, he didn’t like that he had to pay attention to each and every one of those points. Moreover, since it consumed Mana when a fight broke out, his usage of skill was limited. So sometimes, there were times when he wondered if he really needed to summon his Familiars. But it seemed Ark had adapted to them before he realized it. After his father passed away, he was too busy making a living so he’d never hung out with friends. That same nature applied even in New World. Moreover, because his experience in the beginning was nothing but betrayal, he was stained with a deep-rooted mistrust of users and he’d come to avoid users. However, Ark was also human. He’d gotten used to living alone, but it wasn’t enjoyable. Even in New World, he’d sometimes felt loneliness while struggling and hunting for a few days in a dark forest. At some point, he stopped feeling lonely, which was after he had his Familiars around. At the very least, it was evident that Skull, who showed absolute loyalty, and even Bat who constantly grumbled were on Ark’s side. Their existence moved for Ark without desiring any price in return. They were beings Ark hadn’t been able to find in reality or other games. It was just that he hadn’t felt it until now, but to Ark, the Familiars already weren’t simply characters, but comrades he could trust. For the first time since starting the game, time felt long to him. Ark thought earnestly of his Familiars at last. As soon as it was summoned, Bat pointed at its forehead and threw a fit. When a user received damage, they didn’t feel the pain. Only a stinging sensation like a slight static shock. But NPCs were different. If they were cut with a knife, they would feel the pain of getting cut by a knife. So if they were hit by an arrow, they would feel the exact pain of getting hit by an arrow. It was just a programming setting, but everything was real to an NPC. Skull clacked its teeth with a slightly sullen movement. The snorting Bat flinched and stepped back. Then it stared at Ark with eyes filled with wariness. Ark extended food that exuded an aromatic smell. Then Bat went pale as it shortly made excuses with a servile voice. Bat tilted its head after flaring its nostrils. It had wondered whether Ark was beating in discipline with another dreadful body experiment after Ark pushed forward the food without warning. But after blindly smelling it, it was a food that had its effect confirmed not long ago. And it was made by liberally using precious ingredients, a valuable food that raised Health and Agility for one hour. Familiars did feel hunger, and they possessed gluttony towards tasty foods. But its instinct to protect itself came before the food. Bat stared at Ark with suspicious eyes after gulping down its saliva. Bat quickly shook its head and shoved its head into the pot. Next, Ark made the same food again and fed it to Skull as well. During the time he was alone, Ark had keenly realized the preciousness of his Familiars. Of course, he couldn’t stop feeding them food, since he wanted his Familiars to grow. But he did think there was a need to converse in a friendly manner now and then. Like the carrot and the stick. Ark’s virtue allowed him to obtain unexpected information. – The loyalty of the Familiars, who felt the sincere affection of their summoner, has increased by 1 each. Affection stat has increased by 1. Even Ark was informed of the changes in his Familiar’s loyalty. Skull didn’t change, but in Bat’s case, if he shoveled food indiscriminately, its loyalty decreased a little. Every time that happened, it was a matter of fact that Bat didn’t listen to him as much and complained more. Until now, it hadn’t gone up even once. Ark roughly understood the situation. The Affection stat he’d earned from succeeding the miracle of Nursing! Until now, Ark had no idea what the stat was used for. It didn’t help at all when he raised his intimacy with the village NPCs. But he had unexpectedly learned its purpose. That wasn’t all. The proficiency of Survival Cooking went up by 1 each when a new type of dish was create, so it rose by 4. Food made for other had to have meaning. Since he cooked it to show his apology and gratitude towards his Familiars, bonus proficiency had been applied. This simple fact, which he had forgotten for a long time, hit home anew. After being a little friendly with it, Bat soon became impudent. But Ark, who missed it for 24 hours, indulgently let it slide. This was the conclusion Ark had came up with after brooding over it for 24 hours. Ark planned strategies with several patterns oriented to situations beforehand. Then in battle, even if he didn’t issue each and every command, Bat and Skull would be able to judge the situation in their own and move. It was a method inspired by an online FPS game. “Yeah yeah, I got it. Master, you’ve gotten smarter.” Bat babbled impertinent noises once again. Ark lightly ignored it and continued. Bat and Skull expressed interest as they nodded. Ark immediately led the Familiars and began to hunt. In the beginning, their opponents were the low-difficulty Magal Wolves or Bengal Tigers. As Ark yelled, Bat and Skull leapt out first and drew the monster’s attention. In the meantime, Ark attacked a monster from behind and decreased the number. When there was one monster left, he shifted the strategy. Bat and Skull, who had been fleeing here and there, suddenly attacked the monster. This method allowed him to quickly change commands, achieving the anticipated result. Of course, there were also a few mistakes since it was their first time trying out the formation. Sharp-witted Bat adapted quickly, but dull headed Skull’s understanding fell short, so in some cases, where it was a beat slower were numerous. In addition, since their plans were too simple, there were also often situations where it was difficult for a Familiar to deal with. Each time it happened, he diligently forced punishment food into the Familiar’s mouth. The Familiars became ghastly pale and went into critical condition a several times. However, since their max Health had increased quite a bit, they stayed alive. And although it was a rather low chance, they discovered growth foods which made Familiars’ stats increase steadily. Ark also diligently taught the Familiars with patience. By adding several strategies or changing them in repeated actual battle training, these points were improved little by little. With their horror of the food, the Familiars desperately did their best to memorize and carry out the strategies. Since he used the Nursing skill appropriately, the effect was doubled. The fact that even non-combative skills could be used without limitation according to their methods of use was a charm of New World. In the meantime, Ark’s skill at calling the Familiars also improved. Even in battle, he quickly made a command while constantly checking the Familiars’ Health. And when a Familiar was fleeing with all of its might while faced with a life threatening situation, he cancelled the summoning with stunning timing. If they were to be forcefully recalled, Ark would receive a 50 percent Health deduction of his Familiar’s max Health, and it’ll be impossible to resummon them for 24 hours. But if Ark cancelled the summoning, so no penalties were applied. On the other hand, once the target of a monster chasing a Familiar disappeared, the monster was stunned for a while. Whenever such situation happens, Ark’s sword undoubtedly land a critical hit. Once the Familiars’ survival rate increased, their dedication in battle flourished. Once in awhile, Bat, whose Intelligence had risen quite a bit through food, would even suggest a strategy worth using. Bat’s strategy was effective. Once a monster appeared, Ark grabbed and threw Skull at a weak point he’d perceived while using Eyes of the Cat. A critical hit through an unexpected ambush! Subsequently, Ark would rapidly cancelled the summoning before the monster attacked Skull. Then he resummoned again, and Skull would appear at Ark’s side. The monsters couldn’t comprehend the situation and hesitated. Then when Plans C, B, and A unfurled one after another, it wasn’t even necessary to use Plan D.
Thanks to Ark and the Familiars’ desperate effort, they clicked perfectly. After two days of hunting in such a matter, Ark gained a level, and he entered the domain of the Gnolls again. Skull and Bat fanned out according to Ark’s command. While the Familiars quickly circled the area and diverted the attention of the Gnoll Archers, Ark deployed Dark Blade and defeated a Gnoll Warrior. Then he cancelled Skull’s summoning, who was in danger, while charging at the Gnoll Archer that Skull had been distracting at the same time. While he was attacking the Gnoll Archer, Bat flew low between the trees as it evaded arrows. Ark, who had gotten rid of even the Gnoll Archer by raining a stream of attacks against it, summoned Skull again as he changed the plan. Ark and the two Familiars charged at the lone Gnoll Archer at the same time. The battle with the Gnolls, which he felt was difficult to handle before, ended so easily it was boring. The battles after that were the same. The Gnolls normally moved as groups of three or four, and some Gnolls led around Magal Wolves. Also, since these guys were on the intelligent side, they waited in ambush. They occasionally raided as well. In some cases, they would occasionally wound up in a situation where they had to fight as many as six monsters all at once. However, the Familiars’ strategy execution ability had grown to equal even the Special Army the Republic of Korea boasted of. They weren’t lacking even if you did call them the Special Familiar Army. Thanks to that, as they adjusted to the situation and their strategy played out, they were able to win without much difficulty. It was an effect for a dynamic tactic. After going around annihilating party monsters, his experience had increased as well. When he gained yet another level, Ark checked his information window. *All abilities are increased by 20% in the dark. * The ability to hide your body in the dark has formed (Duration time 10 minutes. Cancelled if you get into combat). * Resistance Fear, Darkness, Blind, and Charm spells is increased by 50%. *You can bring out the true abilities from all types of tools. Ark invested 30 of the 50 points he’d earned from gaining 5 levels into Intelligence. It was a stat he had barely distributed any points into because in the beginning there wasn’t a need to use Mana. But as he used the Familiars, he realized the severity of his lack of Mana. Even though he raised his Mana by a lot, it was still merely 480. Even after getting the +100 Mana with the Crystal Golem’s Head, it only amounted to 580. In addition, when battles broke out, one Familiar needed 1 Mana per second. So, 290 seconds. In conclusion, he could only endure for 5 minutes from when the battle broke out. Granted, a decent battle ended within 3 minutes. To Ark, Eyes of the Cat and Dark Blade were absolutely necessary skills. But using Eyes of the Cat once was cost 50 Mana. Dark Blade consumed 100 Mana. Which meant it was too much to cast them a few times even with if he had full Mana. What was worse was, since he kept his Familiars summoned, there were many times when it was difficult to properly cast them one or two times. Because his skill usage was limited, it was a situation where his skill proficiency didn’t increase properly either. That was why Ark had invested up to 30 stats in Intelligence. Furthermore, he didn’t have thoughts of regret. In Ark’s eyes, as he gazed at his Familiars, possessed an affection that couldn’t begin compare to the feelings he had about them a few days ago. He could feel the Familiar’s growth firsthand. In New World, combat wasn’t determined simply with stats. A user’s experience and their way of thought, which couldn’t be checked with numbers, were all reflected in battle. If you only looked at stats, Skull and Bat were still incomparably lousy. A win against one Wolf or the like wasn’t guaranteed. But by accumulating combat experience along with Ark, they were showing ability beyond their numbers. They were becoming more and more dependable! Therefore, Ark concentrated on ingredient gathering above hunting in order to execute Survival Cooking, the sole method for the Familiars’ abilities. However, since the Familiars did their share, they became difficult. After Bat boasted, Skull didn’t lose and claimed its share of the credit. This was exactly the problem. Bat and Skull’s skills had recently grown remarkably, so there wasn’t much of a justification to feed them food. It was certain that if he thoughtlessly fed them for growth and decreased their loyalty, Bat and Skull wouldn’t help Ark desperately as they did now. Despite that, they couldn’t grow if he didn’t feed them food. Matching that balance unexpectedly gave him a headache. However, he needed the definite concept of reward and punishment. Especially in Bat’s case. Oppressively pushing it yielded the opposite effect since its loyalty was low. It was a frustrating system, but in a way, it was also the reason why Ark had come to possess more attachment to the Familiars. “Hmph! Why aren’t you speaking, Master? Are you at a lost for words?” Bat crossed its arms and boasted. “That’s once every ten!” Bat lost its temper as it yelled. What the hell, it didn’t matter if he made an excuse anyways. Before long, Bat ate a full-body paralysis food and was sprawled on the ground. Skull, who had avoided the body experiment thanks to Bat’s sacrifice, rolled around happily on the ground. “I’m not doing this because I like it either. 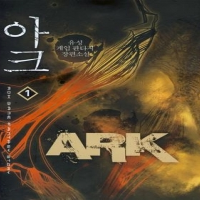 It’s all for your sake”, Ark equivocated while averting his gaze. Everything was satisfactory except one thing, there were still no changes found on the Netherworld’s Egg. If the number of his Familiars increased, it would definitely be helpful. But every time he fed the Egg food, it repeatedly trembled as if it were vibrating and just went back to being still. “Just when is this guy even gonna hatch…” Ark muttered as he licked his lips. Seeing as it reacted every time he fed it food, it seemed something was definitely going to hatch. But even when Bat and Skull’s stats rose several times, the egg was still an egg. Moreover, he couldn’t check the food’s effect if he fed it to the egg. Since there was a limit to the food ingredients, he felt regret when he fed the egg. Honestly, he had half given up now. Ark picked up the paralyzed Bat and rose from his seat. After struggling for half a day while defeating Gnolls, he found the village. Situated at the foot of the mountain, it was a small, sparsely populated village. There were only about 40 houses. But since people didn’t live in most of them, they were left there like haunted houses. He couldn’t discern anything such as liveliness on the faces of the 1~2 residents he saw. Since it was a village situated too far from the city, he didn’t see users either. Then again, if it wasn’t Ark, who had traversed the mountain in a straight line while following the hand mirror’s light, they wouldn’t have even been able to find a mountain village like this. Perhaps because it was a village with a soon-to-be-ruined atmosphere, but even when he stood inside the village, his map wasn’t even marked. “It’s a place with a bad feeling somehow,” Bat murmured with a discomfited voice from Ark’s shoulder. Whenever Ark went into a village, he lifted Skull and Bat onto his waist or shoulder so they appeared like accessories; because although they were Familiars. And since they were Undead and Demon in the first place, Ark’s reputation could drop if the village NPCs found out. Ark looked through the village with indifferent eyes. Even in a dilapidated village, thankfully the oasis of travelers, the General Store, existed. Ark blew out a sigh while looking through the contents inside his bag. He had concentrated on hunting without rest for several days. In addition, he had gathered all the food ingredients he could get his hands on. Thanks to that, his bag was packed full of japtem to the point where there were no empty spaces. Although his bag space was expanded slightly because of his job-changed, and most of the items he had were stacked up because he hunted in the same area, he still had to throw away a few items due to lack of bag space. At last, after arriving at the village, he recalled the items he’d thrown away and tears obscured his vision. 6 gold meant 60,000 won (~$60). He had thrown away 60,000 won on the ground and left. If he recalled the scene of the six cabbage leaves that he adored flapping as they fluttered away, he felt like he was about to go crazy. He feared imagining how much more loss he would’ve had to endure if there wasn’t one. When Ark entered the store, the owner had a surprised expression. Ark thought of something polite to say and got to the point right away. “What?” Ark doubted his ears. “I can tell even with a rough look. Where’s the good in higher numbers? There’s nothing worth using, so clubs and animal hides like these don’t make money.” The store owner spoke in a blunt tone. Goods easily acquired in the area were sold for considerably cheaper price than the market price. But was that all? Because Ark had overused the Magic Restoration skill to raise the proficiency on the decent equipment, the max durability of every last one of them was 1. Items with 1 durability were recyclable items that weren’t even worth a few coppers. He couldn’t complain even if the price was set by weight like junk. On top of that, Ark had used up one deluxe repair toolbox while hunting because he couldn’t even consider touching his Magic equipment with beginner Magic Restoration yet. In the end that meant he’d spent 15 gold on repair fee. Wasn’t it a 5 gold deficit rather than a profit? If he nitpicked the break-even point, he had to receive at least 20 gold for the numbers to be right. But for it to be 10 gold instead of 20 gold! Ark sold the mantle and warrior equipment not long ago, bringing a fortune of 7,000,000 won (~$7,000) into his hands. But the reason those items were expensive was because they were much harder to acquire. He’d have nothing more to wish for if that kind of good luck kept up, but reality wasn’t that easy. Rather than hoping for a jackpot, it was a little more realistic to systematically collect money through japtem, and the majority of users did use such method in order to save money. For a user, 1 gold was a colossal fortune. But a deficit? Was it a sound that could even be possible? It didn’t work, as expected. Since it was a village he’d come to for the first time, intimacy was 0. Haggling was impossible from the beginning. If it was a store in Jackson Castle where he’d accumulated intimacy through trades, he would’ve received at least 10~20 percent more. If you considered the market value with the rarity value on top of that, he’d be able to receive over 2 times more. But he couldn’t just take his baggage and return to Jackson to get 10 more gold either. Ark held in his tears and nodded. Ark pricked his ears, quickly approached, and repeatedly rubbed his hands together. The store owner stared at Ark with newfound eyes. Ark’s mouth stretched to his ears. He was so happy he could die with just receiving more, but for him to give even a quest! This village was still a place users didn’t know. In other words, a quest no one knew about. The reward aside, simply the fact that he had discovered a quest such as this made his heart leap. Ark quickly nodded his head and the store owner continued with a serious expression. The store owner’s name was Galen, he was one among the first pioneers. Galen continued with a miserable voice. Galen shook his head with a dark expression. Galen let out a sigh. Ark insinuated the meaning of asking for the maximum of what could be given. Gnoll was a good monster to hunt at his current level. Since it was mostly a party monster, he received a lot of experience from them too. If he was going to hunt it anyways, of course it was better to get a quest and hunt it. This was exactly what it meant to kill two birds with one stone. Ark vaguely heard the sound of jingling coins in his ear. It was definitely not an ample compensation, but it wasn’t that small a reward either. Level 40 monster leather normally sold for about 5 silvers in stores. But Galen had offered 4 times that price. Given it was a mountain village quest, it was a preposterous offer. Ark clasped Galen’s hands firmly as he replied with an expression brimming with confidence. With a simultaneous thu-thu-thump a quest window popped up. You have discovered a pioneer village still unknown to the world at the end of your long journey. As a village made after several years of effort by pioneers who followed the admired mercenary leader Lancel, it was named ‘Lancel’ after the name of their leader. They wished for Lancel to flourish as a relay point between Jackson and commercial cities. But as a group of Gnolls lead numerous snakes and settled in a nearby cave, all their efforts had gone to waste. The residents put their lives on the line and organized a punitive expedition. However, the village’s hero, Lancel, was the sole sacrifice. Most of the despairing villagers have left the village, and now only total desolation is left in the village. Nevertheless, Galen wants to somehow save the village, so he has requested you to subjugate the Gnolls. Galen has promised a bounty of 20 silvers per Gnoll leather, and a 10 gold compensation for your successful subjugation. You must defeat the Gnolls and save Lancel Village from despair.